Yes, we have packaged service plans to meet a wide variety of needs. The difference is, that when we pull one of these packages off the shelf, we customize it to the building and occupants where it will be installed. All our service products are “hand crafted” to perfection by industry leaders with years of experience. Our service products are made with you and your building in mind. We are 100% focused on creating the best comfort experience possible for the occupants of your facility. Most service companies actually start as construction companies. They only get into the service business when new construction slows. CMC Corporate Solutions formed in 1978 as an HVAC Maintenance Solutions Company. We specialized in the maintenance, retrofit, repairs and service of all types of heating, ventilation and air conditioning systems. Over time we began to offer other services, such as design-build, installation, refrigeration, and complete renovation of HVAC systems. Today we can provide indoor air quality service on several levels as well as energy management. Based out of Baton Rouge, Louisiana, we have grown steadily and presently serve South Louisiana and Mississippi. CMC Corporate Solutions is extensively experienced in customization and design of reliable maintenance programs through commercial/industrial service and maintenance agreements. 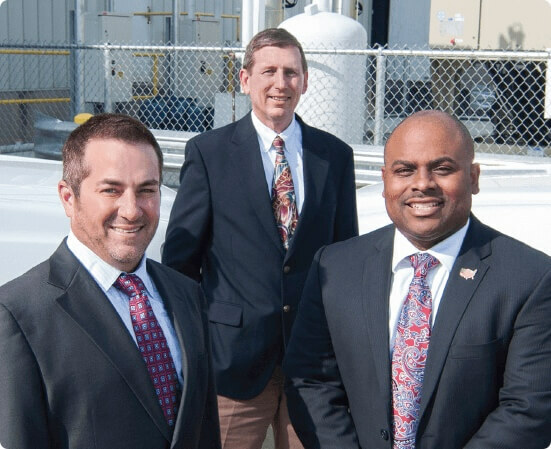 CMC Corporate Solutions has a uniquely competitive edge in the HVAC industry because of the quality and organization of our employees, technical staff and management expertise. Urgency, In What We Do!